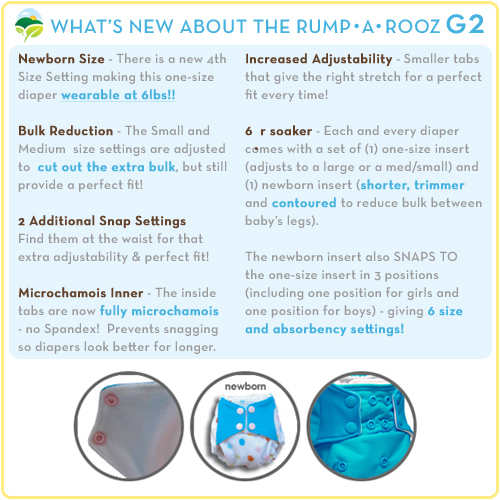 Rumparooz G2 One Size Diapers can contain the messiest of diapers with the patent pending built-in double gusset. Available in snap closure only. 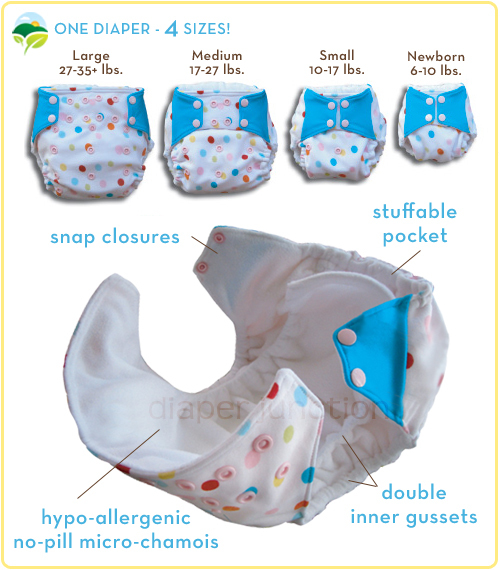 Rumparooz - 4 Diaper Sizes in One! 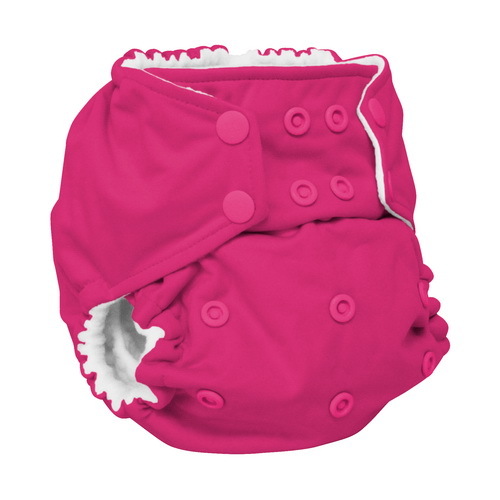 A stuffable inner pocket gives added absorbency when needed and the hypo-allergenic, no-pill, micro-chamois inner material speaks comfort to baby's sensitive skin. The tabs are fully micro-chamois (no Spandex!) 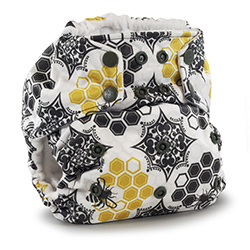 and resistant to snagging; this keeps your baby's cloth diapers looking new for longer! Rumparooz One Size Diaper Improves Itself! 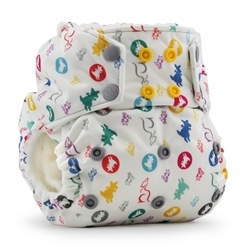 The new version is referred to as the G2 One Size Diaper; its 4th size setting makes it wearable for babies as small as 6 lbs! Not only that, the extra bulk has been cut from the small and medium sizes for a more adjustable fit! The tabs were cut smaller to give just the right stretch! 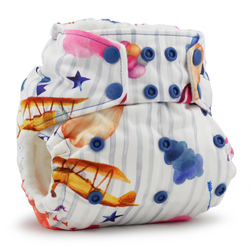 Look for (2) additional closure settings at the waist in the new G2 Snap One Size Diapers; this gives that little extra adjustability for a perfect fit! Why should I be excited about the Rumparooz 6R Soaker? 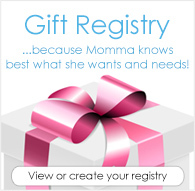 (1) One-Size Insert which can adjust to a large or a medium/small. 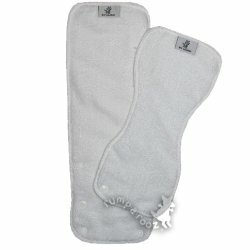 (1) Newborn Insert which is shorter, trimmer and contoured to reduce bulk between a newborn baby's legs. 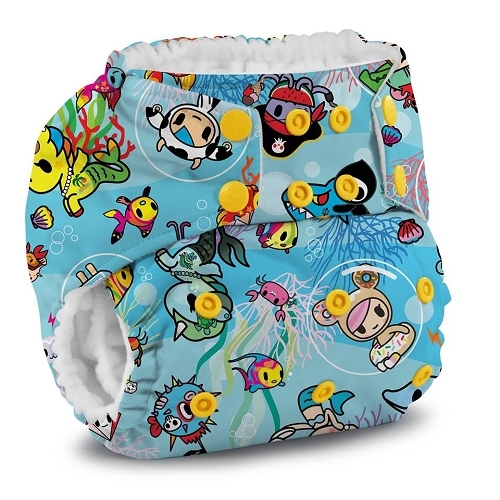 The newborn version of the 6R Soaker snaps to the one-size insert in three different positions, including two positions to better tailor absorbency for either a boy or a girl. This means the Rumparooz 6R Soaker gives a total of SIX (6) size and absorbency settings! 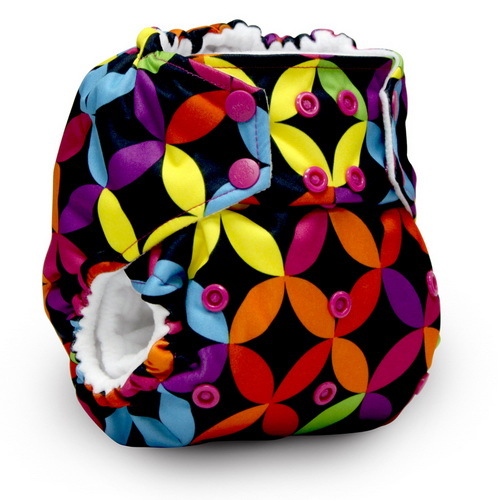 The Rumparooz One Size Diapers have an outer waterproof shell so no additional cloth diaper cover is needed. Just wrap the diaper around your baby and you're done! 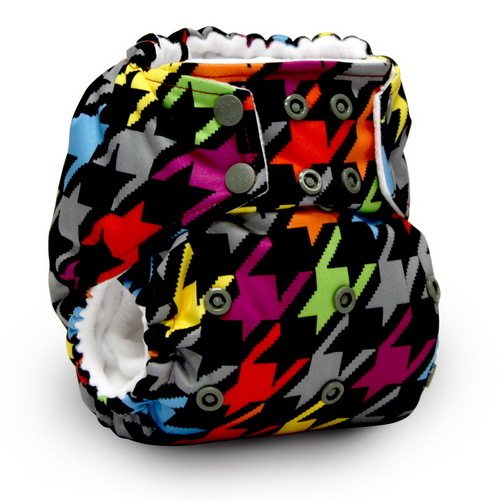 A perfect cloth diaper for dad, parents, grandparents, or any other caregivers for your child! 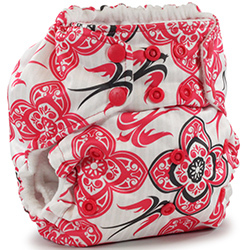 Another innovative solution by Planet Wise; carry both clean and soiled cloth diapers in the Planet Wise Wet/Dry Bag - a compact version of their Hanging Wet/Dry Bag. Love this diaper! Great fit from very early on, the colors and prints are very vibrant, and the inner gussets are the BEST for keeping everything contained. 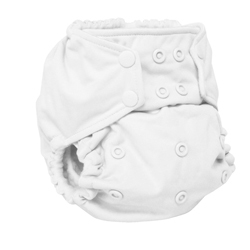 I wish that they came with an insert other than microfiber as I prefer natural fibers, but these microfiber inserts are the best of all the other diapers that I've tried. Pros: The outer fabric is very soft and feels lovely. The prints are really cute. The inner gussets do work really well to contain poo. Cons: The inserts are practically worthless and my daughter flooded them every time so I had to stop using them pretty much immediately. The sizing seems small for a OS, as they were already pretty small when my daughter was 9 months old. I feel like these are overpriced, especially since there don't seem to be any natural fibers. I can get a nicer natural AIO for the same price. Not worth the price for what it is in my opinion, but maybe if you have a smaller kid who isn't a heavy wetter they would work fine. 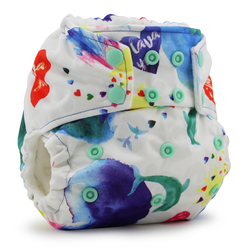 I love the fit of the G2 diapers but I’m not in love with the inserts. I don’t care for microfiber either. I usually use large cotton diaper rite flats with these! This is one of my favorite diapers. It is so soft and I love the fit around the leg of my chunky baby. Wish I had more in my stash. The colors and designs are beautiful and I really wanted to like these, but they already seem to small for my 17 lb chunky 3 month old. I have found other, cheaper brands that I like better.